No matter how nice or expensive your carpets are, eventually they always get dirty. It is just a fact of life. You can try vacuuming. You can even try buying your own consumer-model carpet cleaning machine. But no matter how hard you try, you cannot get your carpets clean the way a professional can. Fortunately, using a professional carpet cleaning service does not have to cost an arm and a leg. At Chad’s Carpet Care, we offer you a way to get your carpets looking like new again without breaking the bank. We are a local small business, offering competitive pricing and a level of service you just won’t find with the other, bigger companies. A lot of times it is easy to put off getting your carpets clean. You may not feel like you have the time to get it done. You may not want to spend money when you don’t have to. But it is important to understand the problems that can come about from dirty carpets – issues that are well worth paying to avoid. Carpets, even the less expensive ones, are still costly to replace. When you fail to clean your carpets, you increase the wear and tear on them, which will eventually lead to the need to replace them. When dirt and other contaminants are absorbed into the carpet, they can begin to break down the fibers and other materials. Dirt, for instance, can cause excessive friction, especially in high traffic areas. The only real way to remove all these contaminants and minimize wear is by using a professional carpet cleaning service. Your carpets are porous, allowing air to flow through on a constant basis. But with the air can come allergens and mold spores. The longer they go uncleaned, the more allergens are absorbed in the carpet material, and the only real way to get them out is having them cleaned by a professional. Bacteria is another type of containment that can infest your uncleaned carpets, especially if they have become wet, had any food or liquids spilled on them, or if they have come into contact with bodily fluids like urine, feces or vomit. Accidents happen, but it is very difficult to clean up such accidents completely, especially when it comes to liquids. People can become surprisingly used to bad smells, which means your carpet may smell without you realizing it. Spills, accidents with pets and dropped food can all stick around in the carpet and the padding underneath. At Chad’s Carpet Care, we offer you a way to eliminate all of the problems above and to prolong the life of your carpets considerably. Not only that, carpet cleaning can make your home look better, and make it more enjoyable to live in. We offer carpet cleaning across a substantial area of Southeast Texas, including Alvin, Clear Lake, Friendswood, Galveston, League City, Manvel, Missouri City, Pearland, South Houston and Sugar Land. If you are interested in our carpet cleaning services, please fill out our contact form or just give us a call. 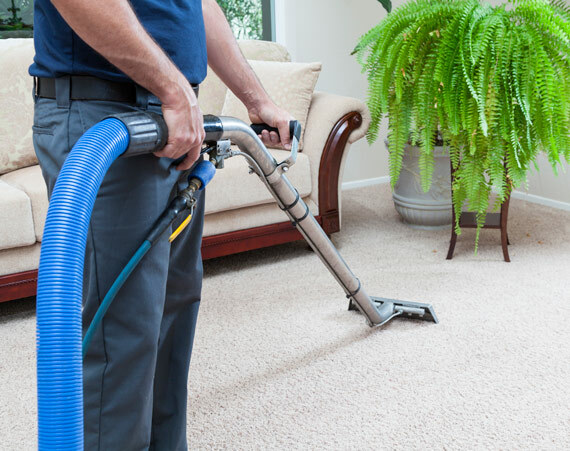 Our team is here to help with all of your carpet cleaning needs.